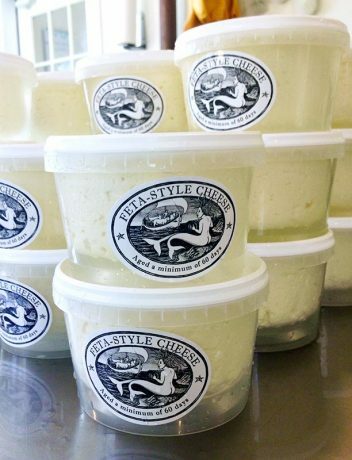 This feta spread created by Roxanne Kapitan can be made in minutes before company arrives. It's great served with crostini, pita or crackers. Here on Martha's Vineyard, we get our feta freshly made every few weeks at Mermaid Farm and Dairy in Chilmark. Combine ingredients in a food processor, until smooth.